With 60,000 students in Sheffield, you'll never be short of things to do. At Hallam you'll have tons of chances to get involved with your student community, through activities, sports, volunteering and your Students' Union. Plus there's plenty of support here to help you study and enjoy your time here. 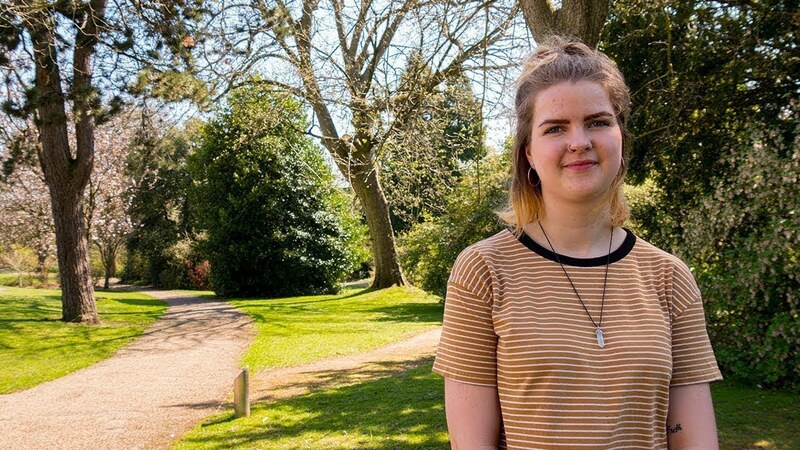 Ellie talks through her top five favourite things about studying and living in Sheffield. We run over 35 social sport sessions a week in 18 sports and have over 30 sports clubs. And if you join Hallam Active, you'll have access to both of our gyms, your own personal trainer, and over 80 classes a week in everything from aerobics to Zumba. And if you compete at the highest level, our Performance Athlete Support Programme helps you balance your studies with achieving your sporting potential. Wheelchair basketballer Charlotte Moore is studying human biology while she trains for Tokyo 2020. When you start at Sheffield Hallam, you automatically become a member of the SU. Membership is free and comes with huge benefits, from events to opportunities to shape your university experience or become a student rep. Joining an SU society is the perfect way to meet people with the same interests as you – or to try something completely new. We have over 100 student-run societies covering interests including rock music, Harry Potter, campaigning, scuba diving and cheerleading. If you can't find one you want, we’ll help you start your own. Our students spend over 15,000 hours each year volunteering through the Students' Union. It's a chance to take on experiences that will stay with you – and impress potential employers. The SU has a wide range of volunteering opportunities from one-off to weekly activities. There's something for everyone to get involved in. "I volunteered at the Calais migrant camp." Like with any new experience, it’s normal to feel anxious about going to university. So it’s good to know you’ll be fully supported throughout your time here. We are committed to helping you study, achieve your potential and enjoy your time at Sheffield Hallam. Go Global helps you meet new people, experience other cultures and develop your global skills while studying at Hallam. You'll expand your horizons, make new friends and gain some life-changing experiences. SHU GoGlobal is open to all students. By taking part you'll become eligible to apply for the Hallam Award organised by Sheffield Hallam Students’ Union.